Divorced, beheaded, died, divorced, beheaded, survived. We all know the famous rhyme but do you know which Queen out-lived Henry VIII? Who ruled after his death? Or what life was like for Tudor children? Find out in Eyewitness Tudor and discover the deceit and treachery that blighted the Tudor period and lead to beheadings, burnings and War. 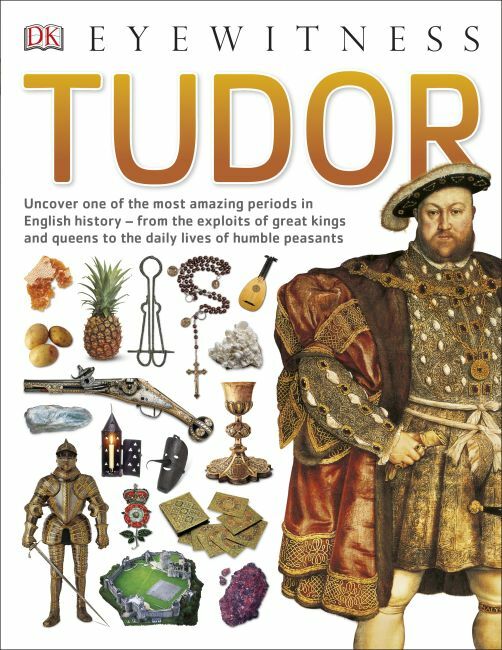 Eyewitness reference books are now more interactive and colourful, with new infographics, statistics, facts and timelines, plus a giant fold-out wall chart full of facts, perfect for bedrooms or classrooms, you'll be an expert on the Tudor era in no time. Great for projects or just for fun, learn everything you need to know about the Tudors with Eyewitness.